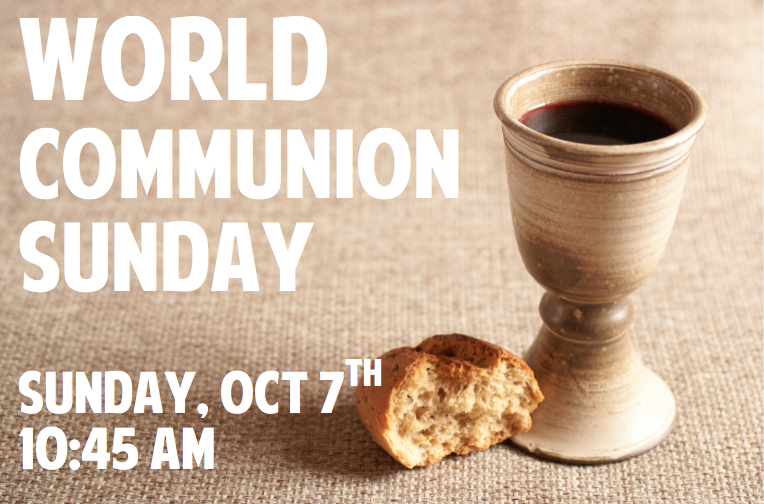 Sunday, Oct 7th is World Communion Sunday! Come together for the sacrament this Sunday with people all over the world. At First Presbyterian we encourage anyone who speaks a foreign language to present the readings and liturgy in their native tongue. Let Rev. Beilke know if you'd like to participate!